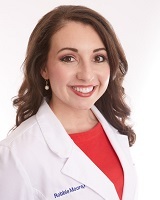 Saint Thomas Medical Partners - Sparta @ Sewell Dr.
As a registered nurse, Robbie began her career in 2010 as a cardiac and case management nurse in her home town of Crossville. Her passion for primary care increased two years into her nursing career, as she recognized the need for primary care in the Upper Cumberland. She has previous experience in utilizing community services such as home health, skilled nursing, rehabilitation, and hospice. As a result, she hopes to provide patients with exceptional care that focuses on the individual needs of every patient. Robbie is excited to be a part of the team at Saint Thomas Medical Partners - Highlands Medical Associates as she focuses on improving the health and wellness of our community!